JUBA, South Sudan (Morning Star News) – In further efforts to help a Muslim businessman take over church property, police in Omdurman, Sudan evicted two church leaders and their families from their houses, sources said. Police on Tuesday (Aug. 15) raided the two houses belonging to the Sudan Presbyterian Evangelical Church (SPEC), one near the Omdurman Evangelical Church and the other attached to Omdurman Evangelical School, both close to each other in the city across the Nile River from Khartoum. They evicted the families of Yahia Abdelrahim Nalu, SPEC moderator, and Sidiq Abdalla, a SPEC pastor who has two children, ages 8 and 10. The action was the latest show of force in a government-aided bid to help Muslim businessman Hisham Hamad Al-Neel take over the church property for investment, sources said. Police told the pastors they were carrying out a court order. The families, who remain homeless, told Morning Star News they were terrorized when police pounded on the doors shouting threats. 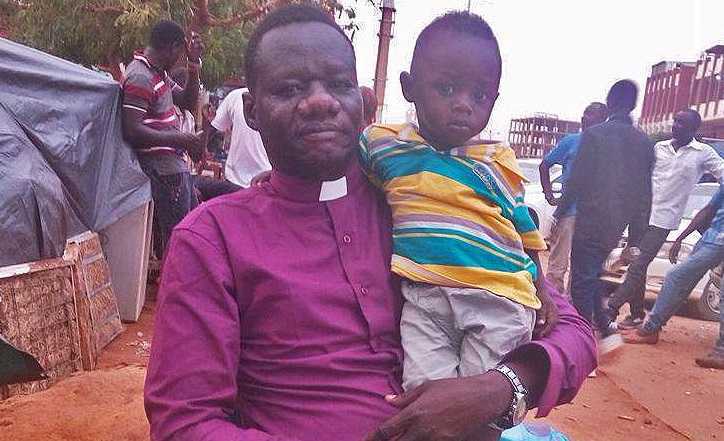 “They came and knocked on the door strongly, then said, ‘Should you not open, we will have to break it by force to get in,” Pastor Nalu, 47-year-old father of a 1-year-old boy, told Morning Star News. Pastor Nalu, his wife and son have yet to find shelter elsewhere, he said. “The situation is very difficult, and we are living on the street,” he said. SPEC leaders said they have appealed to nullify the evictions, but that any resolution would not come soon. Leadership of SPEC remains in the hands of government-appointed committee members even after a court ruled in November 2016 that the appointments were illegal, sources said. In the effort to take over SPEC properties, police on March 27 accused staff members of a Christian school in Sudan of obstructing the work of the Muslim-owned business trying to take it over. Police in Omdurman arrested 12 staff members of a Christian school and the next day prevented others from leaving the campus, they said. The Christians were released the night they were arrested. A church elder on April 3 died from injuries sustained in a raid on the embattled Christian school by supporters of the Muslim business interest in Omdurman. Younan Abdullah, an elder with Bahri Evangelical Church, died in a hospital after being stabbed while he and others were defending women at the Evangelical School of Sudan, SPEC sources told Morning Star News. On March 16 about 20 policemen aboard a truck forcefully entered the school compound, arrested three Christian teachers including the headmaster, Daud Musa, and took them to Omdurman’s central division police station, sources said. Also arrested were Christian teachers Yahya Elias and the late Abdullah, all of the SPEC. In its campaign to rid the country of Christianity, Sudan has designated 25 church buildings for destruction, and on Aug. 2 it demolished a Baptist church in Omdurman. On May 7 Khartoum state authorities in Sudan demolished a church building in the Khartoum suburb of Soba al Aradi, which began as a refugee camp for south Sudanese. A bulldozer sent by Jebel Aulia locality and the Ministry of Planning and Urban Development destroyed the Sudanese Church of Christ (SCOC) building.